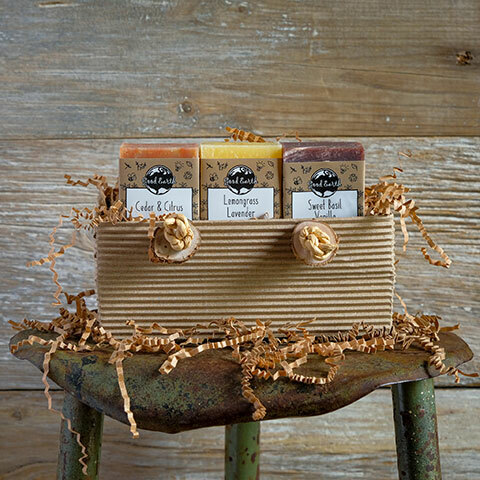 - 1 small mason soy candle, 1 handmade soap, 1 soy lotion, 1 lip butter in a Natural Knothole Tote. I ordered this for my mom for Mother's Day and I was very impressed with the way it arrived. It was very cute and much to my surprise the note in it was handwritten. It sounds silly but it really added a touch of personalization I really appreciated. Best of all my mom loved it. I got a text a couple hours later telling me she was addicted to the soy lotion. Couldn't have been happier with the product and service.